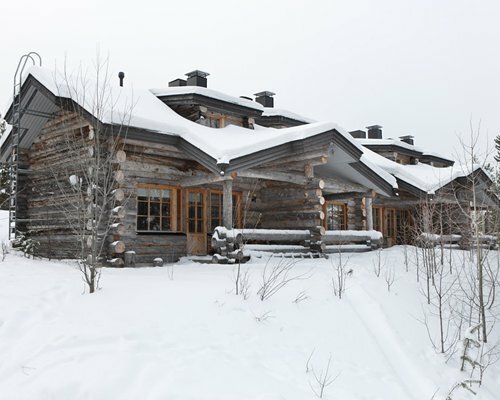 The resort is 24kms from the Russian border, just eight kms from the ski slopes of Ruka. The natural wilderness around the resort makes for good hiking in the summer and is beautiful all year round. On resort there is an impressive indoor leisure centre with tennis and squash courts, gym, and a golf simulator. Though the studio apartments, sleeping four, are small, they are packed with facilities, including a full kitchen and sauna. A car is necessary here, and a heated lift takes guests to the car park. 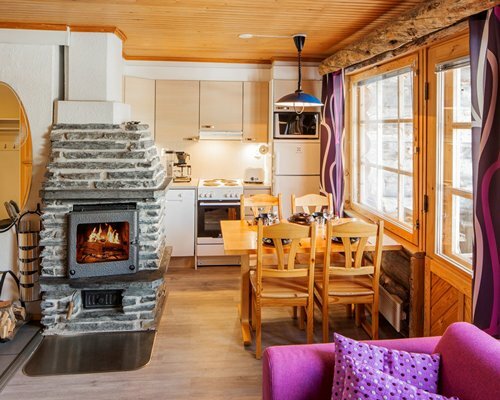 The small units, built in a typical Lapland-style, are of a high standard. 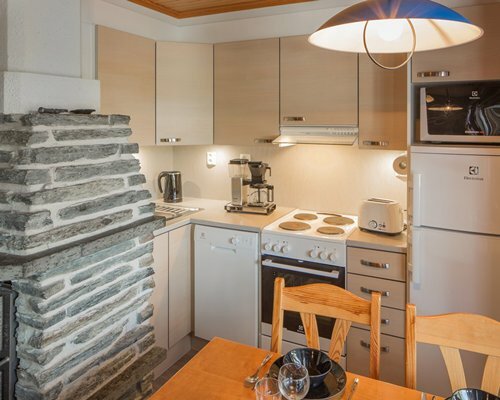 Each has a full kitchen with microwave, sauna, and television. 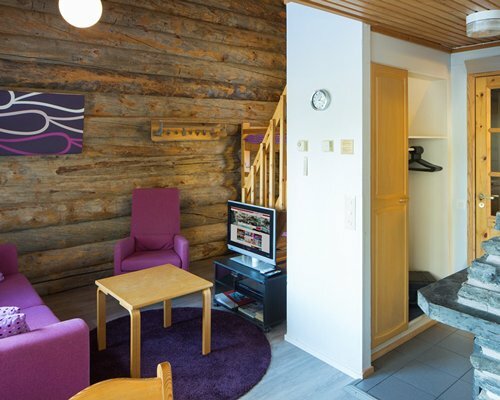 The resort lies in the northeast of Finland, just 15 miles from the Russian border. The area is well known for its skiing facilities and its 'wilderness-like'scenery. BY AIR: Kuusamo - 25km BY ROAD: From the airport turn left towards Kuusamo and follow the signs for Kemiijarvi and Ruka. 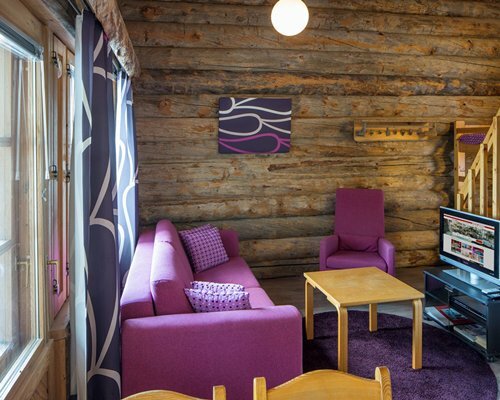 Continue along until you pass the Ruka Ski Center and the Ukko-Herra Hotel. At the sign for Salmilammin Majat, turn LEFT (the sign advises to turn right). Drive to the reception of Salmilammin Majat, situated in the white brick house. Please give the resort prior notice for any late arrivals on +358 400 666 332. After leaving the reception, turn left on the main road and drive for approximately 1.6km. Turn right at the sign for Ruka Loma. Continue along this road and the resort is straight ahead.